We've been waiting for a set top box that could shake up the current craptastic boxes we get from our cable companies and/or do more than some of the neutered offerings available and Boxee may have figured it out. Or at least done something different than throw out the same black square puck as everybody else. 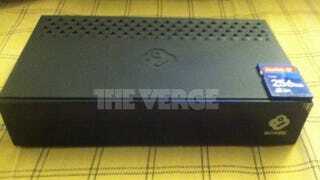 This leaked Boxee TV might be it. Maybe. Hopefully.